Nestled on a peninsula jutting into San Francisco Bay lies a recreational-residential community only 12 minutes from the San Francisco financial district. With spectacular views of San Francisco’s dramatic skyline, the Golden Gate Bridge, Marin County’s mountains and the rolling hills of the East Bay, the 26-acre Watergate community provides convenient city living with a relaxed by-the-sea ambience. This community of low rise garden condominiums was designed by Wurster, Bernardi & Emmons world famous architectural firm, and lushly landscaped by Anthony Guzzardo & Associates. 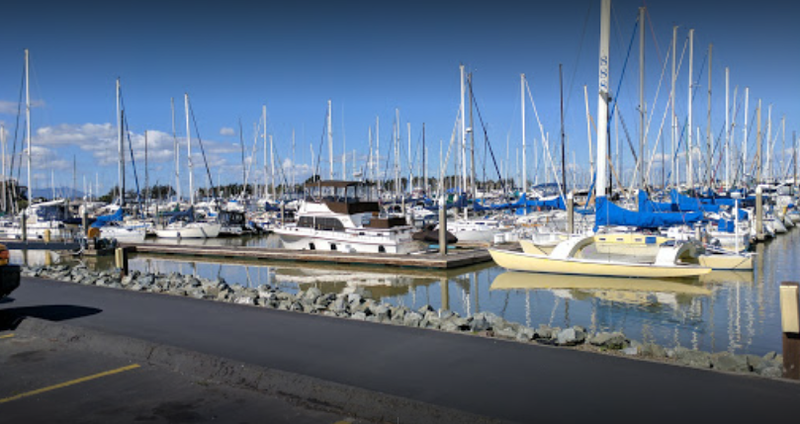 The Emeryville Peninsula, located just north of the Bay Bridge, contains a marina and yacht harbor, several fine restaurants and a neighborhood shopping center adjacent to the Watergate community. Berkeley, with its myriad of new shops and cultural life is but minutes away. All the comforts of city living this side of San Francisco. You can log into the private side of the web site by clicking HERE or selecting Click to Enter above. 4 swimming pools; 4 tennis courts with tennis professional services; 2 racquet ball courts; 6 electric vehicle charging stations, monthly community newsletter; Comcast Cable TV (expanded package); package services; 6 laundry rooms with 76 washers and 80 dryers; maintenance of 2 community centers and full gym; maintenance of private roads; 24-hour roving property patrol services; recreation manager and clubhouse staff; common area gardening/landscaping services; exterior and street lighting; building maintenance - roof repair, building and site repairs and hallways/exterior painting; 27 elevators and monthly maintenance; trash, recycling, green waste and compost; water, natural gas and common area electric service; property and commercial general liability insurance; full-time management and on-site staff; common area pest control services; fully monitored fire alarm and means of egress sprinkler system; 24 hour emergency common area maintenance; 7 day a week custodial services; and 30 percent of assessments collected are put aside for major repairs and replacements to just to name a few of the items and services your annual assessment covers. Look at all the time you will save not having to arrange, manage or pay for all of these services separately. Your comments, questions, and suggestions regarding the content, organization, or operation of this website are invited (see "Contact Us" below.) To find contact information for individual members of the Board of Directors, go to About-Board of Directors on this site. so that an incident report can be filed with WCA for management follow up. The Emeryville Peninsula, located just north of the Bay Bridge, contains a marina and yacht harbor, several fine restaurants and a neighborhood shopping center adjacent to the Watergate community. Berkeley, with its myriad of new shops and cultural life is but minutes away. All the comforts of city living this side of San Francisco. After a busy work day, Watergate welcomes you home. It offers you a quiet evening with a stroll down the boardwalk or revitalizes you for an active night life. This residential-recreational community contains four swimming pools, including one indoor/outdoor pool, four tennis courts with a resident pro, two health clubs with indoor and outdoor Jacuzzi whirlpool baths, four racquetball courts, exercise conditioning room and gym, men’s and women’s saunas, steam rooms, showers and changing rooms. For people seeking ways to stay in shape and relax, jogging on the boardwalk and around the Peninsula is a favorite with Watergate residents.